June 2, 2017 | June 2, 2017 | Arkansas’ statewide trauma system reduced the rate of preventable trauma deaths by about half over five years, and taxpayers saw a nine fold return on their investment in the system, according to a study led by faculty at the University of Arkansas for Medical Sciences (UAMS). The study, “Does the Institution of a Statewide Trauma System Reduce Preventable Mortality and Yield a Positive Return on Investment for Taxpayers?,” compared figures from before and after the Arkansas Trauma System’s implementation in 2010. It appeared in the Journal of the American College of Surgeons in April. Before the trauma system, the preventable death rate was 30 percent. Afterward, it dropped to 16 percent. In raw numbers, the rate drop resulted in 79 lives saved over a 12-month period. The study found that the number of lives saved represented a $186 million annual positive impact on the Arkansas economy, compared to $20 million per year in public funding for the system. “The Arkansas Legislature asks – and rightly so – when they spend money on a project, what do the citizens get out of it? This is one of the first studies in America to show not only that lives have been saved by the implementation of a trauma system, but there has been a positive economic impact for the state,” said Charles Mabry, M.D., an associate professor of surgery in the College of Medicine at UAMS, and one of the study’s principle investigators. Another big takeaway from the study is that trauma deaths are preventable through education, Mabry said. A quarterly review of trauma deaths is now built into the quality improvement structure of the trauma system. These ideas fit with UAMS’ mission on multiple levels. 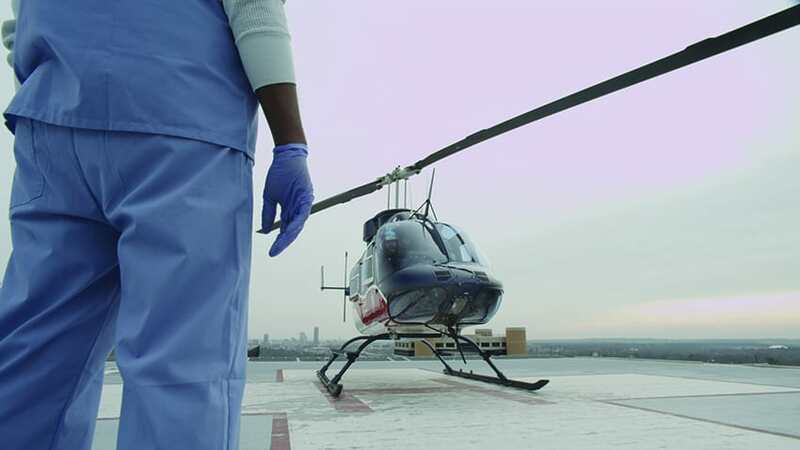 One goal is to provide quality health care, and within the trauma system, UAMS Medical Center is the only adult trauma center in the state designated as Level 1, which indicates its capability to provide the highest level of trauma services. Additionally, as employees of the state’s only health sciences university, UAMS faculty aim to improve health care throughout the state through education and research, Mabry said. As such, UAMS physicians, nurses and administrators took key roles in the design of the trauma system, and they continue to work to improve the system. In addition to the trauma education included in the curricula for UAMS students, Mabry said the lessons learned from the trauma system by UAMS faculty filter down to continuing medical education events throughout the state, in part because UAMS hosts some of them and in other cases because UAMS faculty take lead roles in the societies and professional organizations that help push forward trauma continuing education in the state. For example, the 2017 Arkansas Trauma Update is June 3-4 and the Advanced Trauma Life Support training is June 17-18 – both at UAMS. Mabry said he and his co-investigators will continue the research in this area. In addition, the trauma system is designed for continuing quality improvement with quarterly review panels that look into preventable deaths. Although the study showed that the trauma system has helped Arkansas make progress, Mabry said there is still room for improvement. The national rate for trauma systems that have been in place for many years is closer to 4 percent for preventable mortality. Mabry would like to see Arkansas get closer to that number. Before the Legislature approved funding for the trauma system, Arkansas was one of just a few states without a coordinated trauma system, and it was the only state without state-designated trauma centers. Today the system includes a statewide trauma call center, a tiered designation for trauma centers based on the services they can provide trauma patients, improved communications and telemedicine technology. 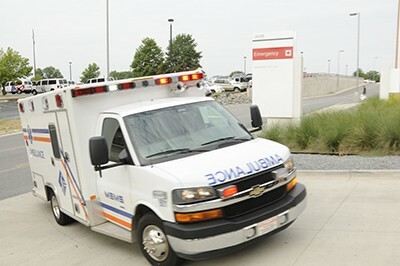 The call center includes a web-based dashboard that lists trauma centers’ services and up-to-date availabilities, which helps emergency dispatchers send patients to the nearest trauma center equipped to handle their needs. To calculate the value of each life saved, the study used a standard estimate of $100,000 per life-year and an average life expectancy of 81.5 years. Mabry said these figures represent “conservative estimates.” Mabry said that trauma primarily affects young people and therefore has an even bigger impact on the state economy because of their lifelong earning potential. Study authors included Todd Maxson, M.D. ; Michael J. Sutherland, M.D. ; Ronald D. Robertson, M.D. ; James O. Booker, M.D. ; Terry Collins, R.N. ; and Horace J. Spencer – all of UAMS. Charles F. Rinker, M.D., adjunct professor of surgery at the University of Washington, Seattle, and consultants Teri L. Sanddal and Nels D. Sanddal, Ph.D., also assisted. The study was funded by a grant from the Arkansas Department of Health. The American College of Surgeons is a scientific and educational organization of surgeons that was founded in 1913 to raise the standards of surgical practice and improve the quality of care for all surgical patients. The college has more than 80,000 members and is the largest organization of surgeons in the world. For more information, visit www.facs.org.